“Jesus and his disciples set out for the villages of Caesarea Philippi. 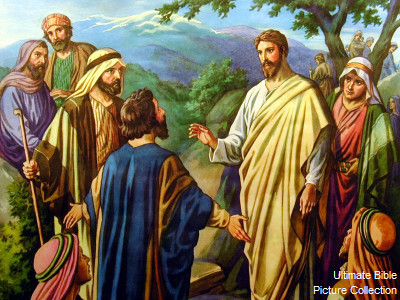 At this he turned around and, looking at his disciples, rebuked Peter and said, “Get behind me, Satan. You are thinking not as God does, but as human beings do.” -Mark 8:27-33.